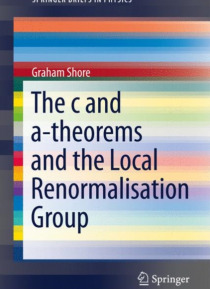 The Zamolodchikov c-theorem has led to important new insights in the understanding of the Renormalisation Group (RG) and the geometry of the space of QFTs.� The present primer introduces and reviews the parallel developments of the search for a higher-dimensional generalisation of the c-theorem and of the Local RG (LRG).The idea of renormalisation with position-dependent couplings, running under l… ocal Weyl scaling, is traced from its early realisations to the elegant modern formalism of the LRG. The key role of the associated Weyl consistency conditions in establishing RG flow equations for the coefficients of the trace anomaly in curved spacetime, and their relation to the c-theorem and four-dimensional a-theorem, is explained in detail.A number of different derivations of the c-theorem in two dimensions are presented and subsequently generalised to four dimensions. The obstructions to establishing monotonic C-functions related to the trace anomaly coefficients in four dimensions are explained. The possibility of deriving an a-theorem for the coefficient of the Euler-Gauss-Bonnet density is explored, initially by formulating the QFT on maximally symmetric spaces. Then the formulation of the weak a-theorem using a dispersion relation for four-point functions is presented. Finally, the application of the LRG to the issue of limit cycles in theories with a global symmetry is described, shedding new light on the geometry of the space of couplings in QFT.